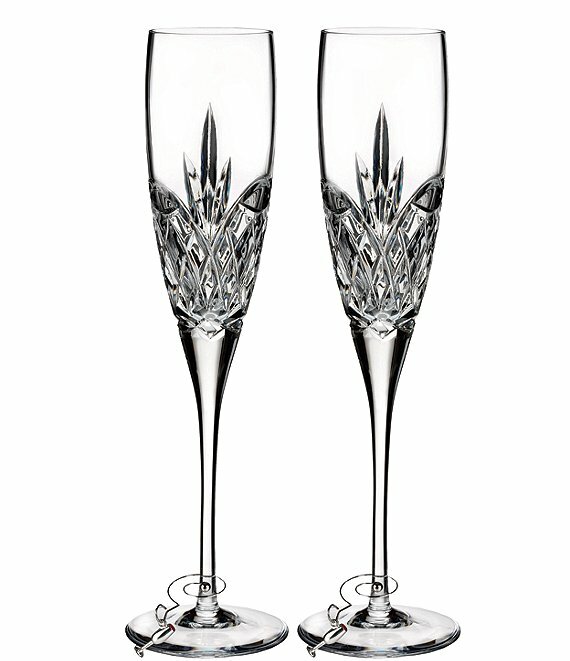 The Waterford forever toasting flutes feature a stylized representation of the eternal flame of love, a flame that is never extinguished, but burns brightest in the milestone anniversary and beyond. Memories are made, collected and cherished as couples keep these legendary landmarks of love in their hearts. Forever is also a perfect remembrance for renewal of bows ceremonies. Measures approx. 10.6"; 5-oz. Imported.